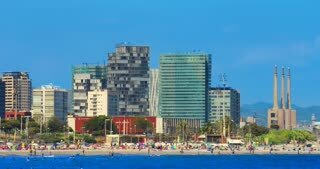 Search Results for "spain beach"
Young male and female standing and holding surfboard on beach. Provincia Cadiz. Spain. Tarifa beach. Female lifeguard pointing with finger into distance standing on beach with male. Tarifa beach. Provincia Cadiz. Spain. Smiling male and female lifeguards sitting on beach and looking into distance. Tarifa beach. Provincia Cadiz. Spain. Female wearing lightblue swimsuit posing with surfboard and male lying on beach. Tarifa beach. Provincia Cadiz. Spain. Female listening music in headphones and dancing on beach on sea background. Tarifa beach. Provincia Cadiz. Spain. Female and male lifeguards with rescue orange float patrolling beach. Tarifa beach. Provincia Cadiz. Spain. Crop photo of female's bottom part. Holding flippers and mask on beach. 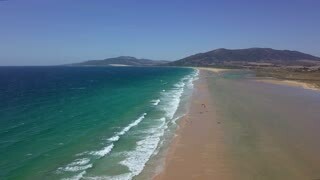 Tarifa beach. Provincia Cadiz. Spain. Smiling female wearing blue swimsuit standing with surfboard on sandy beach. Tarifa beach. Provincia Cadiz. Spain. Young woman doing yoga is sunny day in the Tarifa beach, Cadiz, Spain. Horizontal outdoors shot. Man and woman giving high five while walking out of water in Tarifa beach, Cadiz, Spain. Young sporty female doing the stretches while warming up in Tarifa beach, Cadiz, Spain. 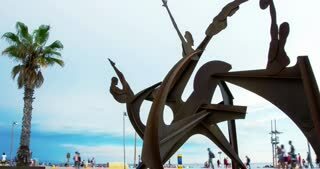 Horizontal shot of man pointing at the ocean showing the sea to the woman in Tarifa beach, Cadiz, Spain. Side view of young woman holding surfboard and looking at the ocean in Tarifa beach Cadiz, Spain. Female sitting on beach with flippers and playfully putting water mask on. Tarifa beach. Provincia Cadiz. Spain. Female lifeguard wearing red swimsuit goes along beach, back view. Tarifa beach. Provincia Cadiz. Spain. Cheerful young woman hugging her surfboard in a sunny day on the Tarifa beach, Cadiz, Spain. Young woman stretching while doing yoga on the pavement in Tarifa beach, Cadiz, Spain. Side view of young woman standing in bridge position on the pavement in Tarifa beach, Cadiz, Spain. Attractive young woman standing in the yoga pose in Tarifa beach, Cadiz, Spain. Horizontal outdoors shot. Smiling African woman lying on surfboard near the ocean in sunny day in Tarifa beach, Cadiz, Spain. Aerial shot from drone with landscape of ocean turquoise water washing spacious sandy shoreline with beach in Tarifa, Spain. Female wearing virtual reality glasses standing on surfboard on sea background, Tarifa beach. Provincia Cadiz. Spain. Female sitting on surfboard wearing virtual reality glasses on sea background. Tarifa beach. Provincia Cadiz. Spain. Female wearing lght blue swimsuit with surfboard posing on sea background. Tarifa beach. Provincia Cadiz. Spain. 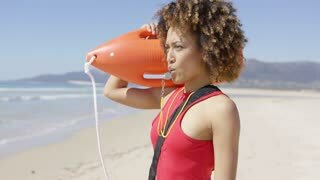 Lifeguard with rescue float blowing whistle and pointing with finger into distance. Tarifa beach. Provincia Cadiz. Spain. Crop photo of female's bottom part. Female holding flippers and mask. Tarifa beach. Provincia Cadiz. Spain.